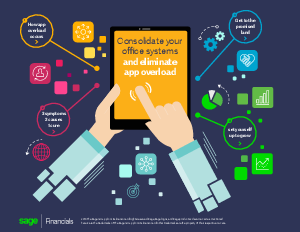 Whether you call it app overload or app sprawl, the issue of too many applications, systems, and processes has created inefficiencies in business management and an unnecessary gap between the front office and back office. This article takes a look at the phenomenon. It also offers a solution to dissolve the obstacles and boundaries that hinder your business.